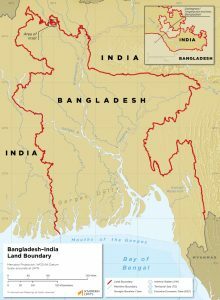 Measuring approximately 4,097 kilometers (2,546 miles), the Bangladesh–India boundary is the fifth longest in the world. A majority of the border was established during the partition of British India following its independence from the United Kingdom. Modern-day Bangladesh was initially incorporated into Pakistan but proclaimed independence in 1971. 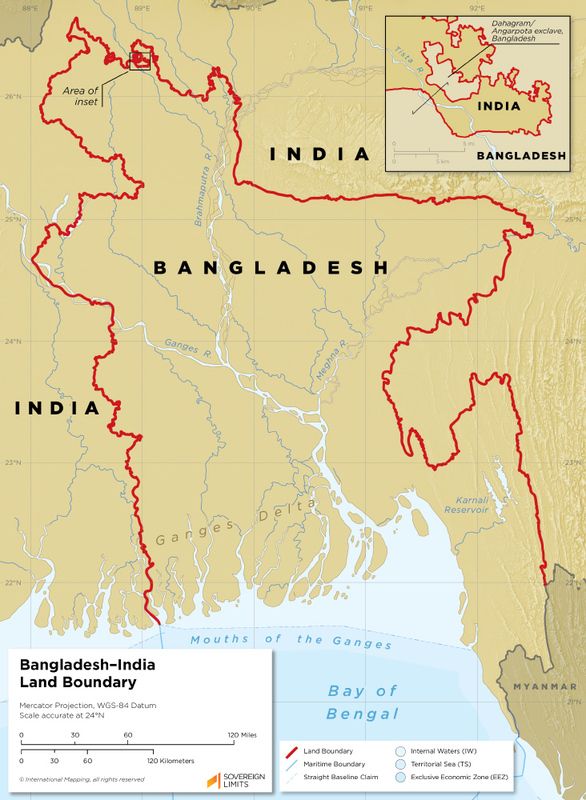 Border disputes between Bangladesh and India arose throughout the 20th century largely due to ambiguous colonial boundaries and a complex system of enclaves between the two countries. Despite these tensions, the entirety of the border is delimited and a series of territorial exchanges were finalized in 2015, which dissolved most of the almost 200 enclaves. The majority of the boundary has been demarcated with the exception of a 2 kilometer section along the Muhuri River near Belonia, India, which is currently being negotiated.